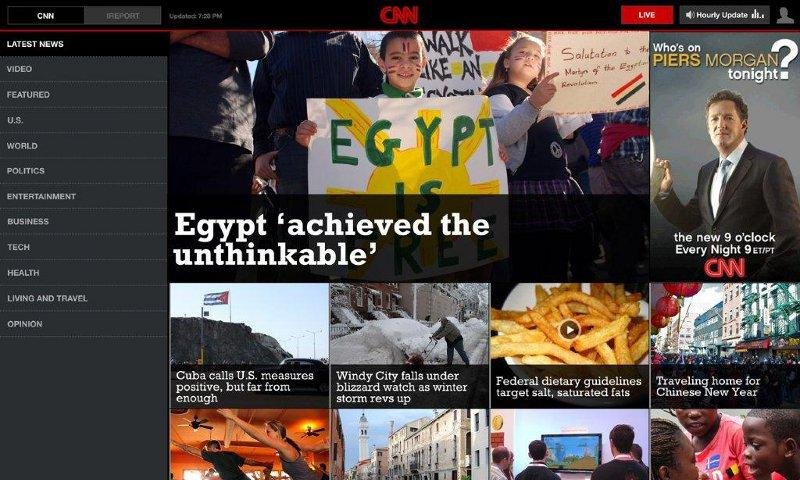 The CNN app features a swipable navigation bar on the left-hand side and a grid story layout on the right side. For video junkies, live video broadcasts as well as pre-recorded video segments are provided. Vocal activists among you will find the ability to leave comments satisfying. Widget lovers will enjoy the ability to install a live widget onto their homescreens. The widget utilizes a new flipbook method of information presentation currently available exclusively in the Honeycomb version of the OS. 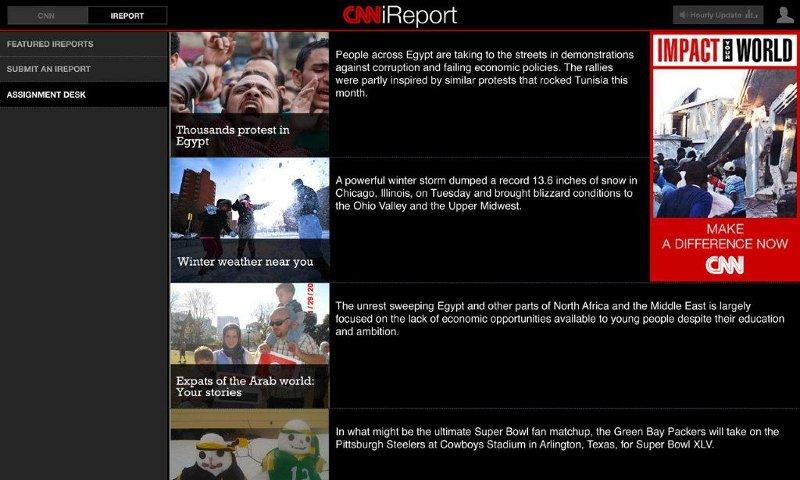 CNN also highlighted a feature previously unavailable on a tablet device (read: iPad) - access to CNN's iReport community-generated content, including uploading of video and pictures for iReporters. Not a bad first go at it, CNN. 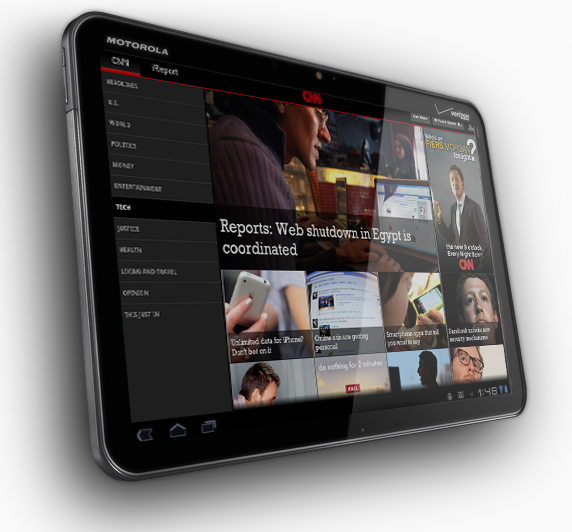 What do you think, tablet owners?